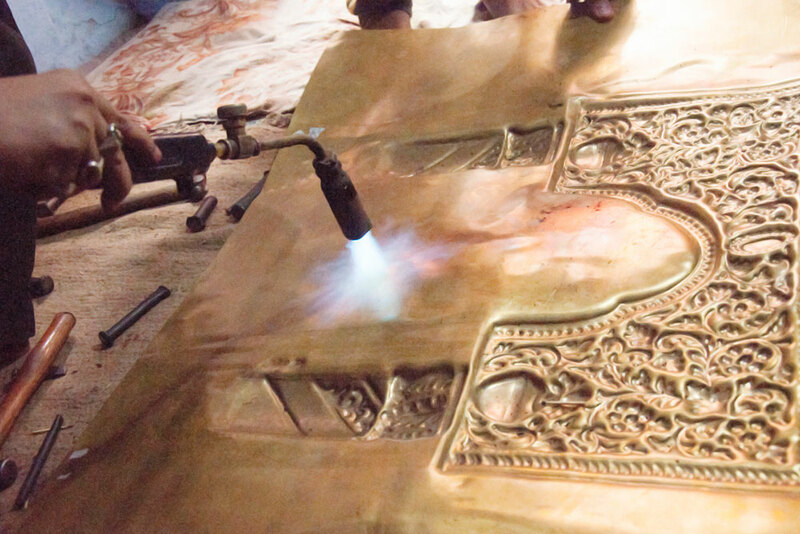 Sheet metal embossing is a stamping process for producing raised designs or relief. 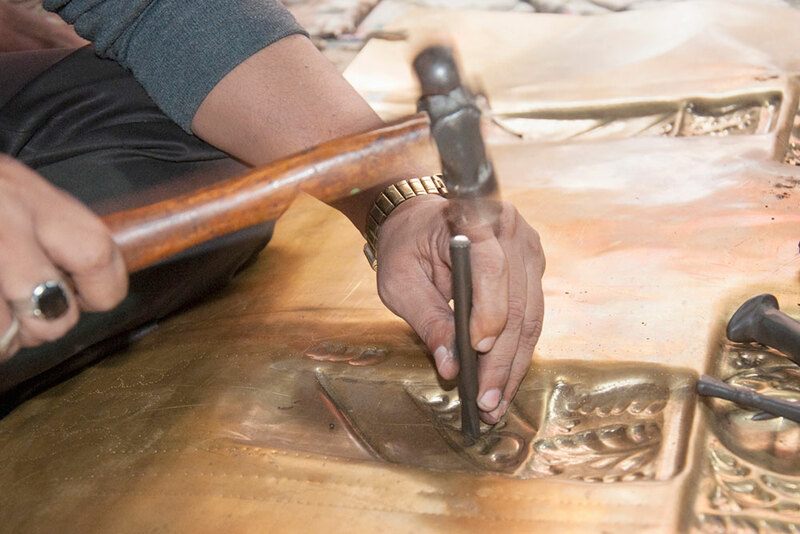 The process of metal embossing takes a lot of time due to the repetition of a number of time consuming stages. 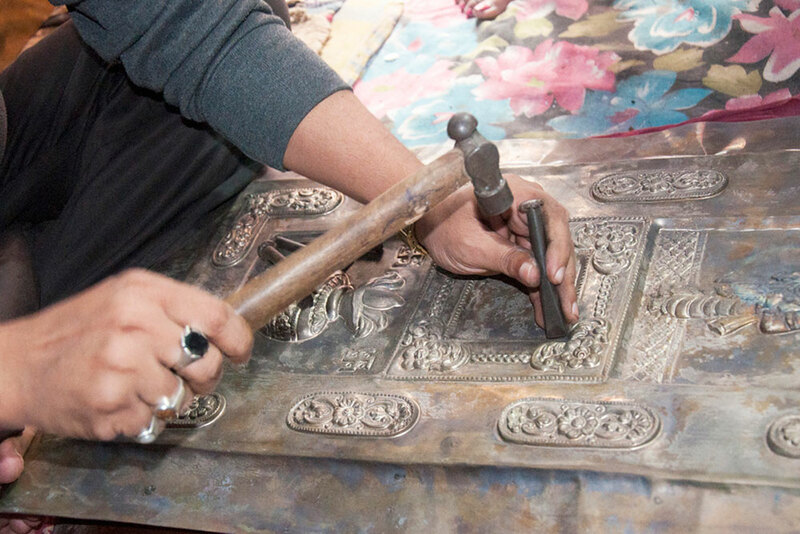 The tools used in metal embossing are customized tools made by artisan itself. 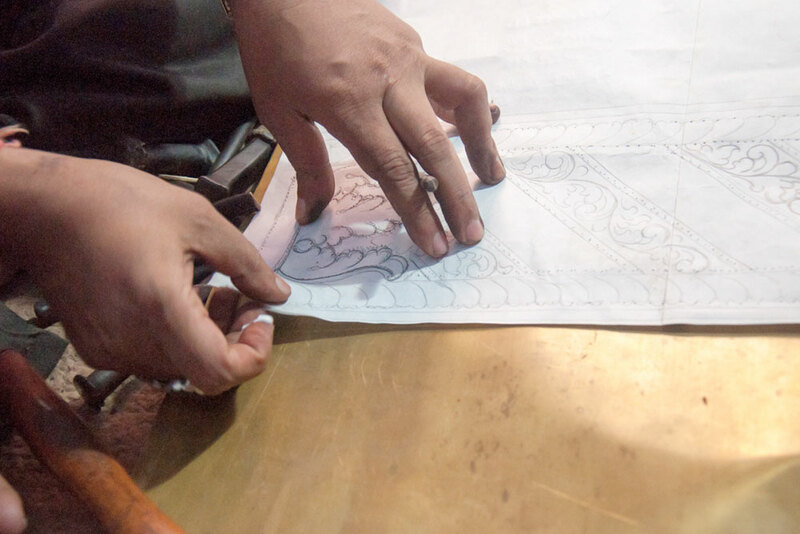 Craftsman works on the metal embossing when they get order from the customers, once they understand the customers requirement they will make a rough drawing on a paper sheet and when the design is approved by the customer, they will start with the embossing work. 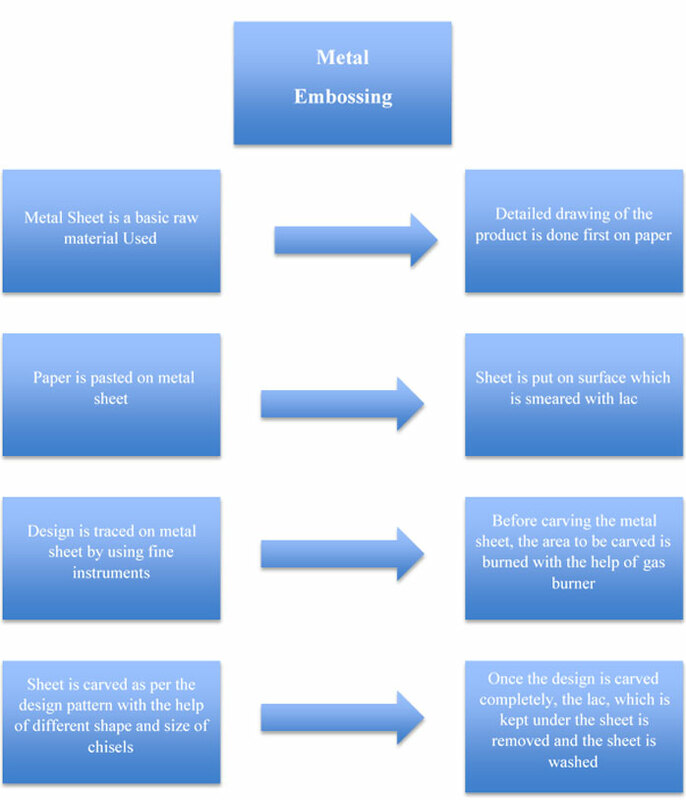 The size of the metal sheet is depended on the type of the design and the size. Work usually takes one year to six months or sometimes it will be completed in 2months. Time duration taken to complete the work is mainly depended on the size and design. 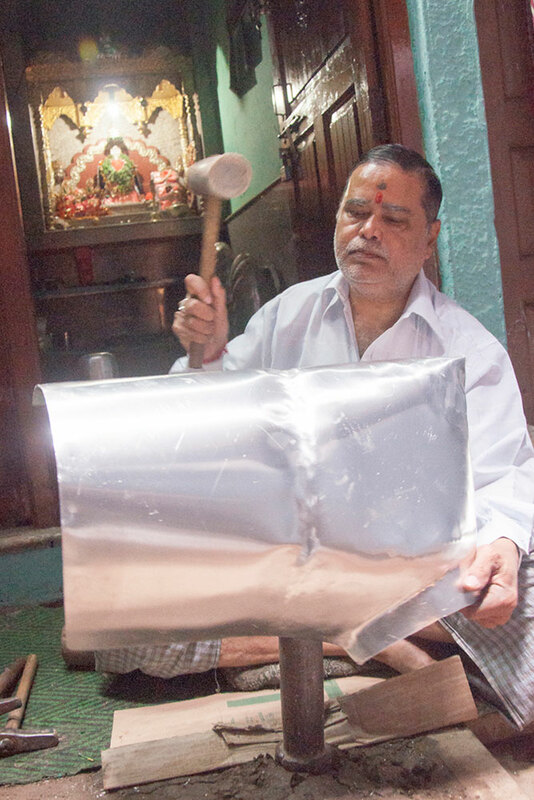 In this technique, metal sheet is cut into required size and shape. Lac will be melted it in a big container. Once the lac is completely melted, the sheet is then placed over the lac. 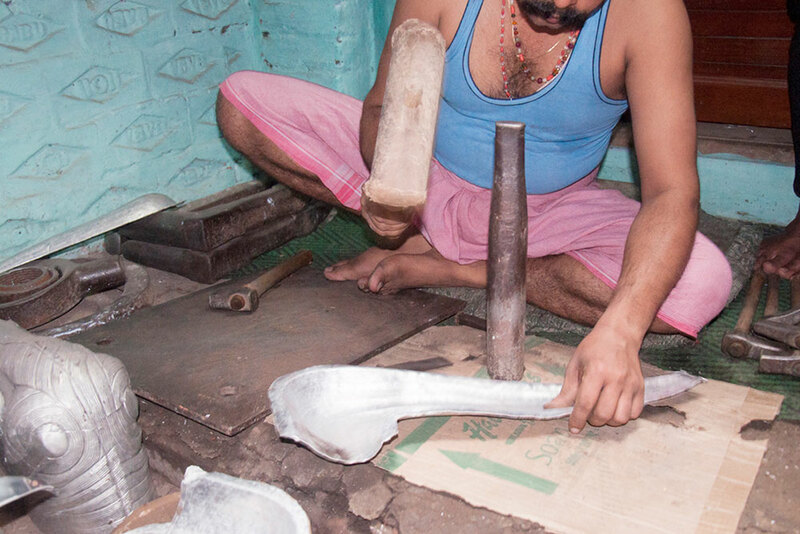 The purpose of using lac is to provide a solid base to work on, whilst allowing the metal to be pushed out and shaped without obstruction. 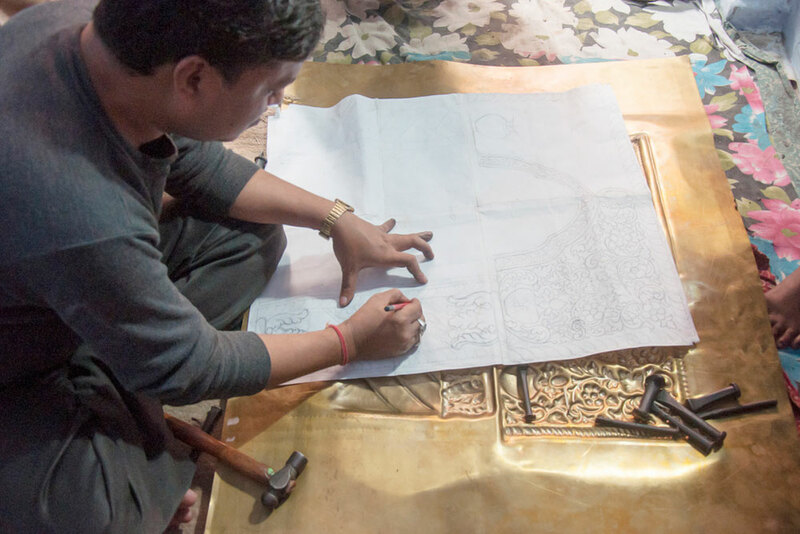 Detailed drawing of the product is done first on paper and then it is pasted on a metal sheet and then finally the sheet is put on a surface which is smeared with lacquer or wax and design is traced metal sheet by using fine instruments. 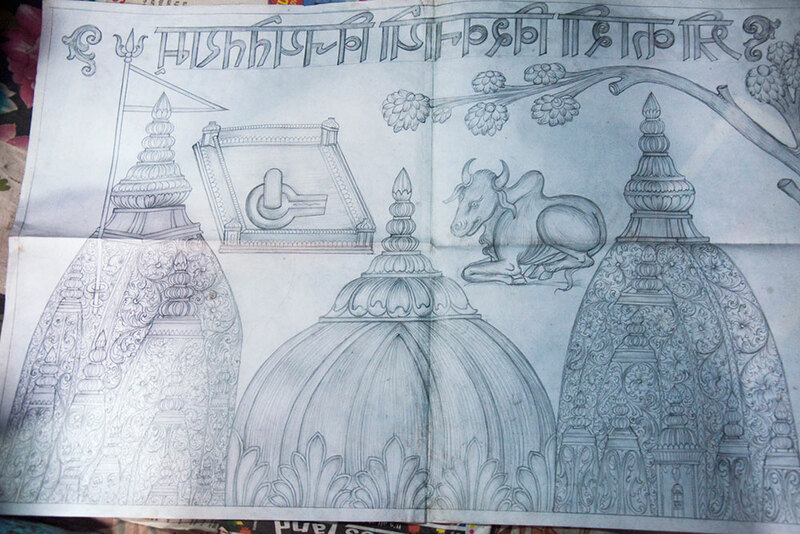 Once the basic tracing is done, drawing paper is removed. 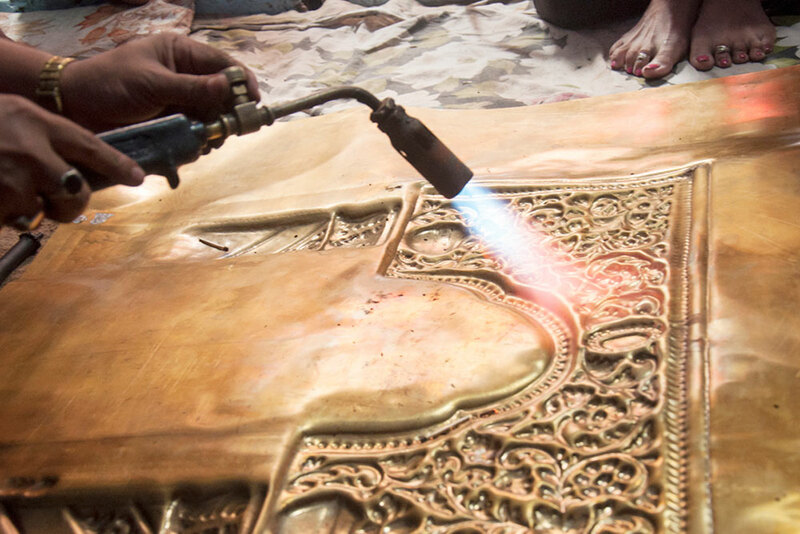 Before carving the metal sheet, the area to be carved is burned with the help of gas burner that makes the sheet soften and that makes the carving work easy. 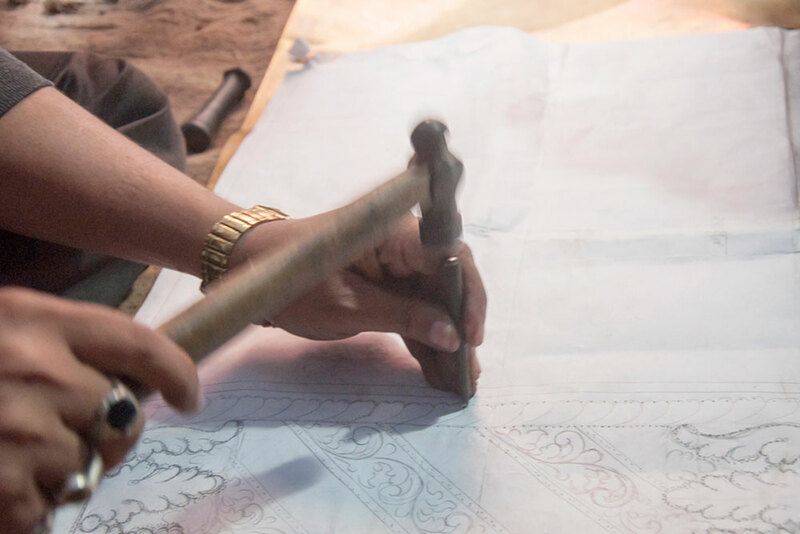 Further the sheet is carved as per the design pattern with the help of different shape and size of chisels. 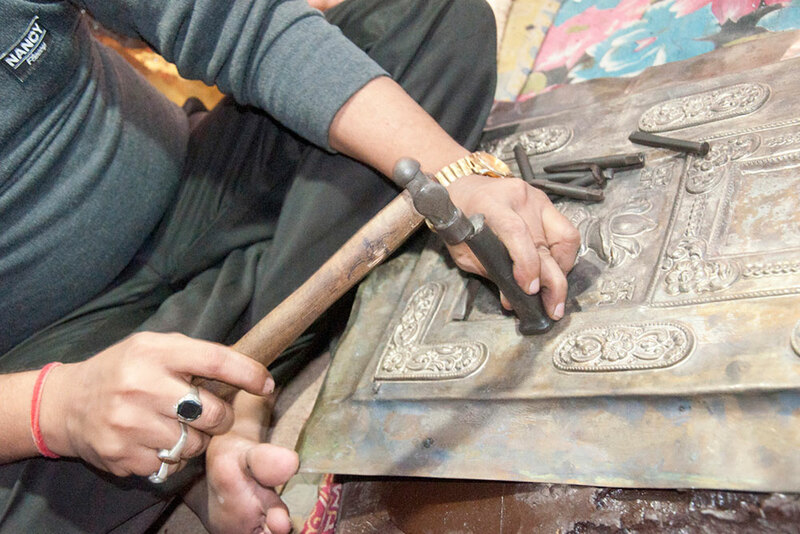 Once the design is carved completely, the lac, which is kept under the sheet is removed and the sheet is washed and finally it is completed by polishing. 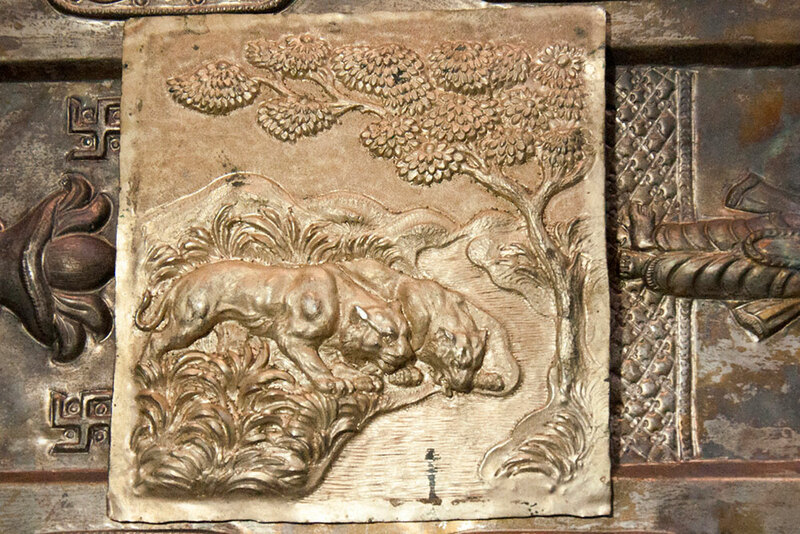 The tools used to carve are still ancient, although the raw materials today come from modern mines and furnace.